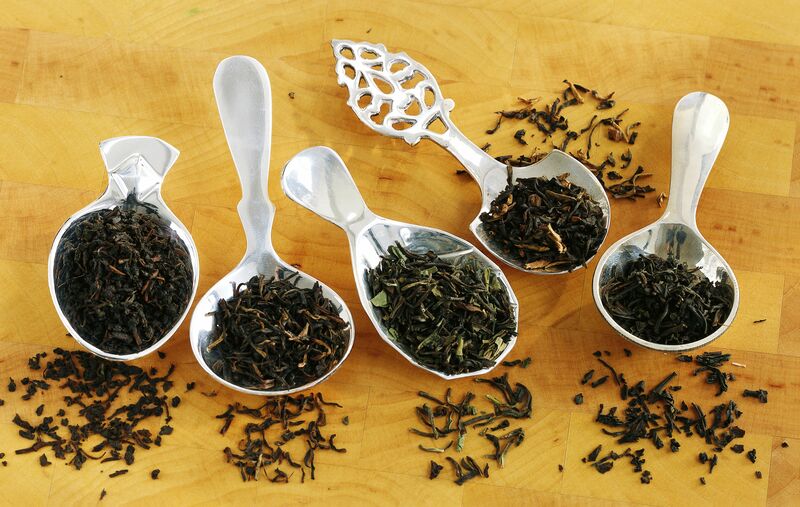 The category of ‘black tea’ is diverse, flavorful, and filled with fantastic teas, many of which are our favorites. But what is considered a black tea? Where does it come from and how does it taste? You’ve likely been drinking black tea for years, and now it’s time to really understand these bold teas. Black tea is the most popular type of tea in the West. Many believe that this is due to the bold flavor and long shelf life of black teas. In the East, black tea consumption is less common. In China, black tea is known as “hong cha” (or red tea) due to the reddish color of its liquor (or infusion). In the United States, the vast majority of black tea is consumed as an iced tea. Traditionally, iced tea has been more popular in the Southeastern U.S., but this is gradually changing with the widespread popularity of bottled and canned iced teas. There are several stories that claim to explain the origin of the first black tea. One tells of Gong Fu Wuyi Oolong (or ‘Congou black tea’) being developed in the Wuyi mountain range of China in the 15th or 16th century. Another story says that the first black tea was Xiao Zhong (or ‘Souchong black tea’), which was developed in Fujian, China, around 1730. Black tea was the first type of tea to be introduced to Europe and the Middle East. Its commercial success in the West led to large scale production in China. Fueled by Scottish and English entrepreneurs and adventurers who stole tea plants and seeds from China, black tea production spread to other countries. These early English tea companies planted tea plantations in other countries and developed machinery for processing tea without the need for skilled tea makers. In recent years, several countries that are not known for making black tea have begun to produce limited quantities of it. This includes England (where tea is grown in greenhouses) and Japan (a country known for its green tea). Japanese black tea is known as wakocha (literally, “Japanese black tea”). Harvest by hand or by machine, it is also known as ‘plucking’ in the tea industry. Oxidation due to the exposure of the essential oils to air. The result is a change in flavor, aroma, and color, much like what happens when you slice an apple and leave it exposed to air for a few hours. This step is sometimes referred to as “fermentation,” though oxidation is a slightly more accurate term for the chemical processes that occur during this phase. Sorting is a process in which any waste material, such as large stems, are removed and different sizes or grades of leaves are divided into separate batches. This step is usually done for machine made teas. Generally speaking, black tea contains 50-90 mg of caffeine per cup. However, there are many factors influencing caffeine levels in tea which may make a particular cup of black tea higher or lower. For example, a masala chai will likely have less caffeine than a pure Assam tea because it is blended with spices that do not contain caffeine. Previous PostHas science cracked the peanut allergy?